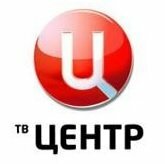 General TV Channel / TV Tsentr is a state-run Russia TV station with the fourth largest coverage area in Russia, after Channel One, Russia-1 and NTV. It is owned by the administration of the city of Moscow and is dedicated to programming that highlights various aspects of Moscow life. The channel airs across Russian territory, its first broadcast on 14 February 1956 - the 4th television station to be opened in the Soviet Union. The channel was launched in June 1997 and until 2005 was run by Oleg Poptsov (the founding father of VGTRK and its chairman in 1990-96). Faithfully reflecting the official line of the former Moscow mayor Yuri Luzhkov, a onetime rival of Vladimir Putin who later became a supporter, the TV station airs extensive interviews with the mayor and his associates.